I first read this book when it initially came out, back in 1999. I think I was drawn to it because it was Vermeer, and back in those days I was very much into art and artists. It was only three years, after all, since we had gone to the National Gallery and seen the Vermeer exhibition, which was a remarkable (if crowded) experience. I hadn’t looked at it or even much thought about it since then — I remember liking it, but that’s about it — and so when a friend brought me a copy, having picked it for our in-person book group, I was more than happy to read it again. 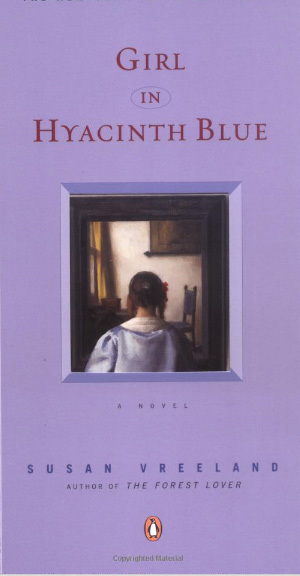 It’s basically the story of a painting of Vermeer’s — one of a girl swathed in hyacinth blue, sitting, looking out a window, her sewing forgotten — as told backward through time, beginning with the present and ending with the painter and subject. It’s a collection of short stories, each one standing uniquely on their own, but work that much better as a collective whole. (As an aside: like novels in verse, I tend to like short stories better if they’re linked to each other somehow.) There are female and male protagonists, there are art lovers and those for whom the painting is an afterthought. There are villains and saints, lovers and merchants. It’s an eclectic bunch. But, perhaps, that’s the point. I think the most interesting thing about this novel is the way the people interact with the art. Perhaps it’s best to explain this through my favorite story, Morningshine. This tells the story of a farmer’s wife during a winter flood in a small town in the Netherlands. She’s trying to make things meet, while her husband’s away repairing the dikes, and she discovers that someone has left the painting and a baby in their boat. She falls in love with both, and takes it as her personal mission to save them. She adores the painting, finding solace and satisfaction and peace in the simple beauty of something so unnecessary. The art touches her life, intersects with it, making it better. Of course, she ends up selling it: they are poor, after all, and the flood has all but devastated the potential to have crops that year. Better sell something unnecessary than starve. But for the fleeting days that she had the painting, her life was better, somehow. It’s all like that: simple stories about simple people. The writing is simple, too: not simplistic, but almost poetic; it felt like every word had a use, something which always impresses me when I come across it. 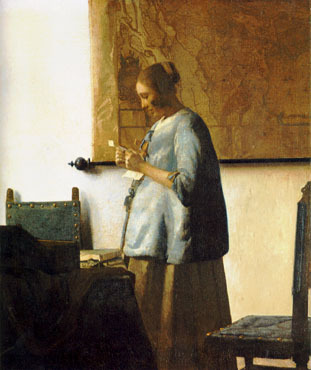 It’s not an earth-shattering book, in much the same way that Vermeer’s art isn’t earth-shattering. That doesn’t mean it’s not very nice to experience. Because it is. 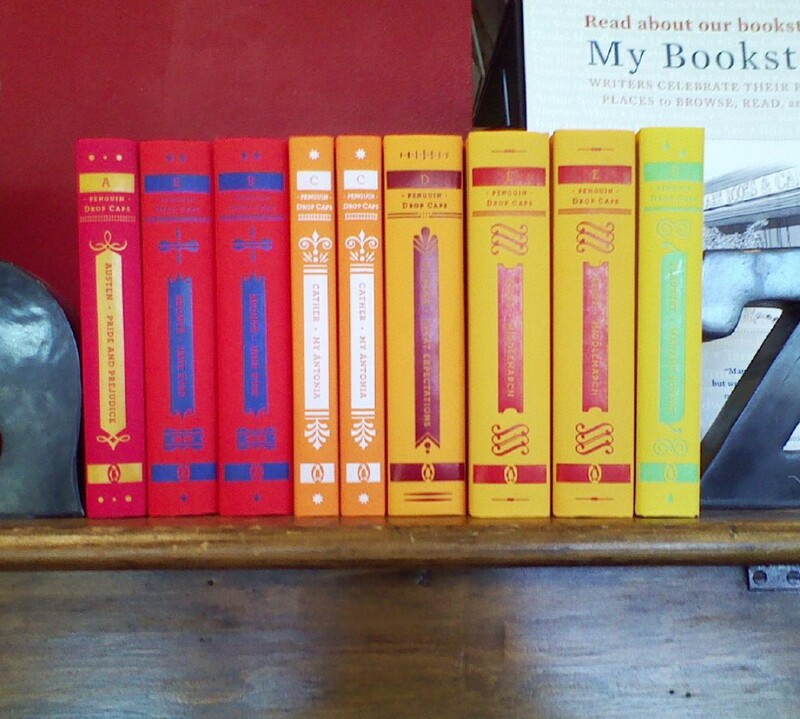 I have The Passion of Artemisia on my “TBR” stack — it's been there awhile. I too went to the Vermeer exhibit in DC! Stood in line forever! Well worth it. I loved the way each of the stories that we read was connected to the painting and to the story of how the painting changed hands.